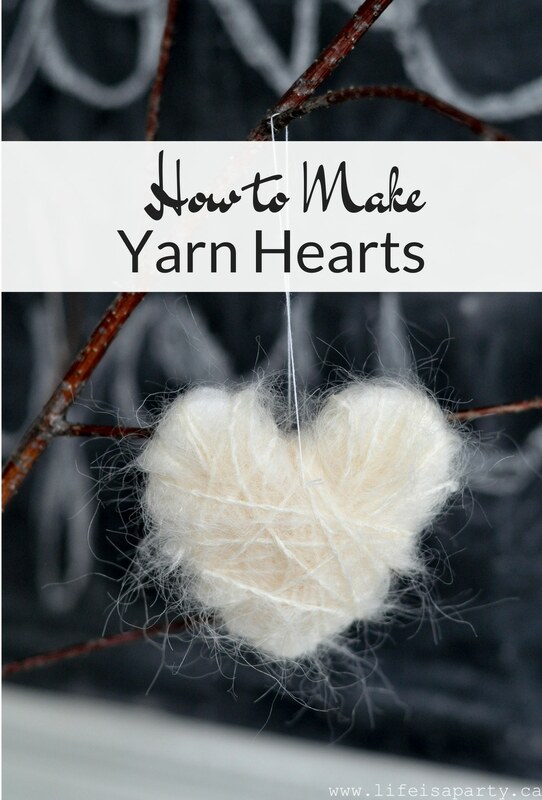 These pretty yarn hearts are so easy to make and the perfect cozy feel for Valentine’s Day. 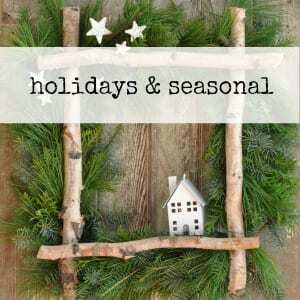 The materials and method are so easy, they’d be a great Valentine’s Day craft to do with kids or adults. 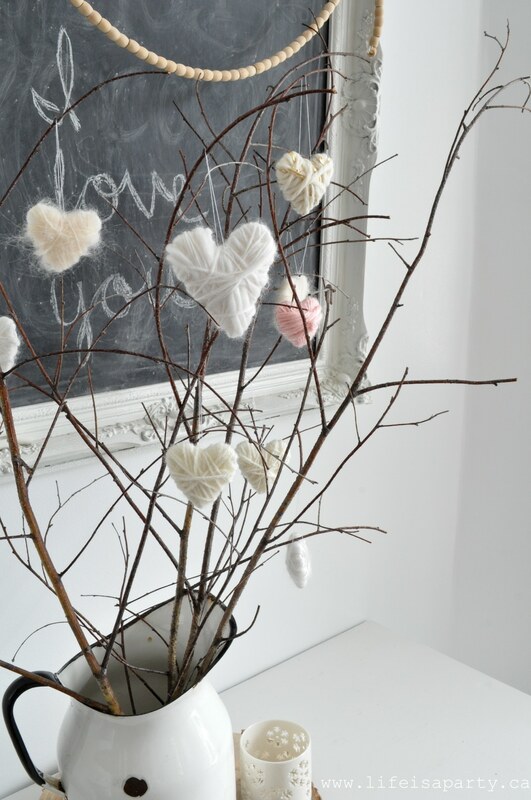 I used my hearts as ornaments on a few sticks, but they’d also be great as bowl filler, or strung on some twine as a pretty garland. 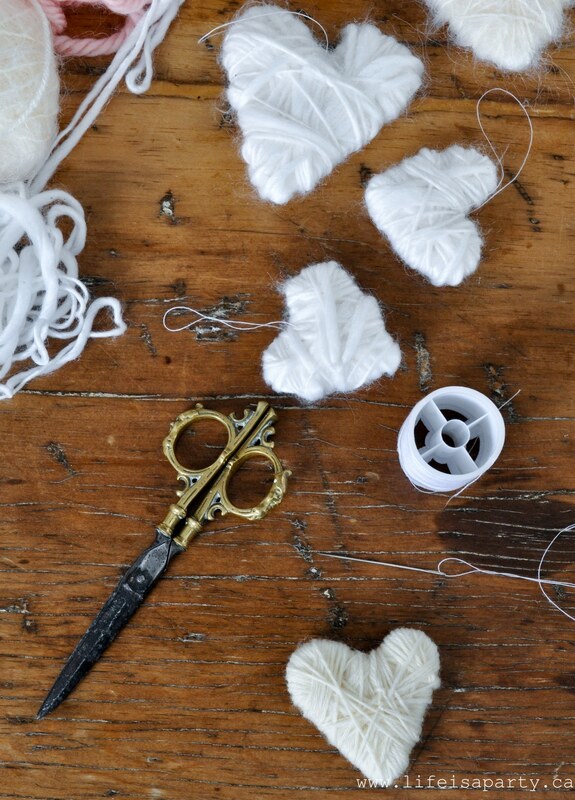 I love these yarn hearts as a Valentine’s Day craft, but they’d be really pretty anytime of year in a baby nursery, or as part of a winter wedding or shower too. 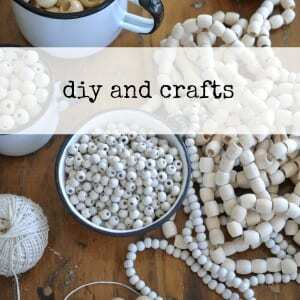 You could make them neutral like mine, or use any colour of yarn to fit your home or party decor -they’re so versatile. 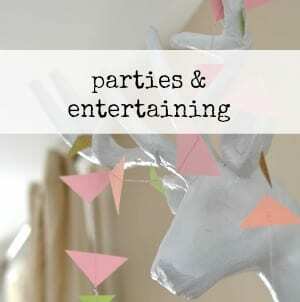 I used recycled styrofoam meat trays as the base for mine, and picked up some pretty yarn at the thrift store making these a really inexpensive craft too. Start my cutting out a heart shape from your styrofoam tray. I used styrofoam trays that I saved and washed from purchasing meat. You can mark out your heart first to find a shape and size you’re happy with. If you want all your hearts to be the same size, create a pattern and use it for all of them. I kind of like that all my hearts are slightly different shapes and sizes. 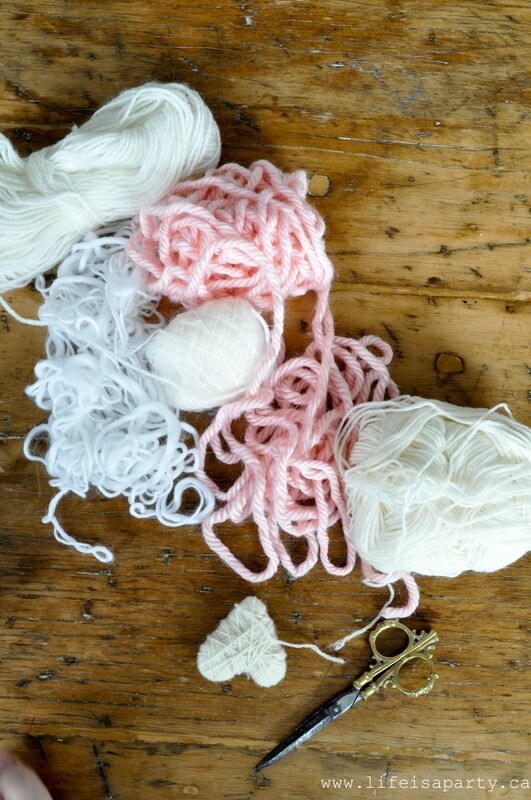 Once you have your heart cut out, start winding the yarn around it, holding the start piece, and securing it as you wind around it tightly with more yarn. Keep wrapping until all the foam is covered. 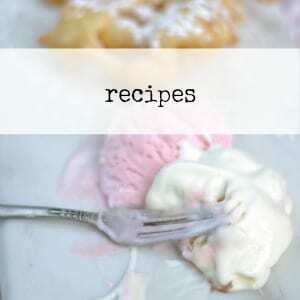 The heart will naturally be thicker in the middle, making it kind of 3D. 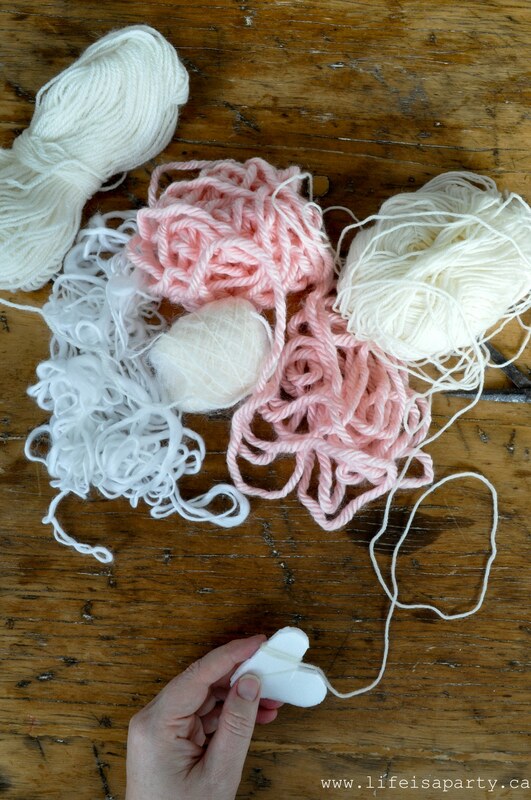 When you’re done, tie the yarn off at the back. 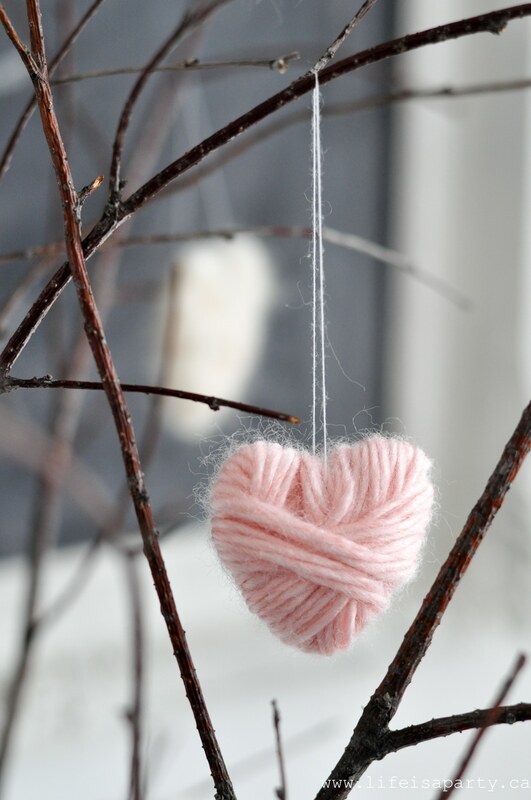 To make the yarn heart into a hangable ornament, use a needle to put a thread through at the top and tie it off. 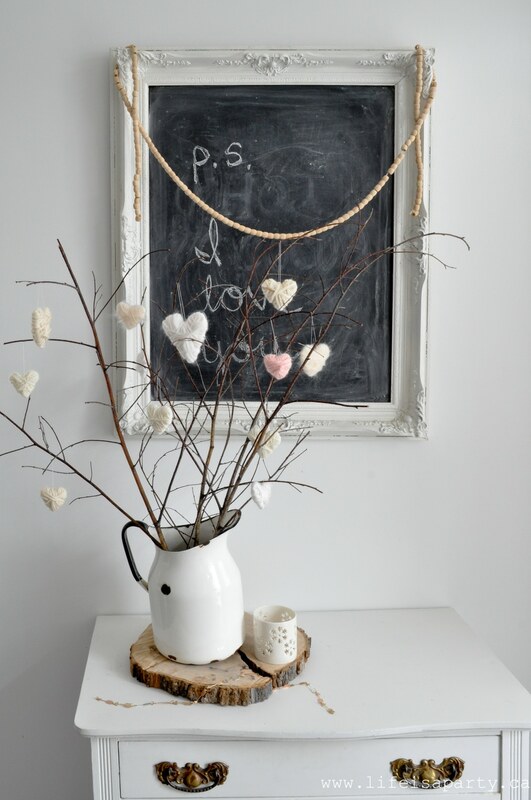 These little hearts are so sweet, and I love their wooly, cozy texture especially this time of year. 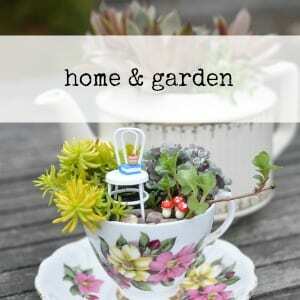 These would also make the perfect little thoughtful gift this Valentine’s Day. 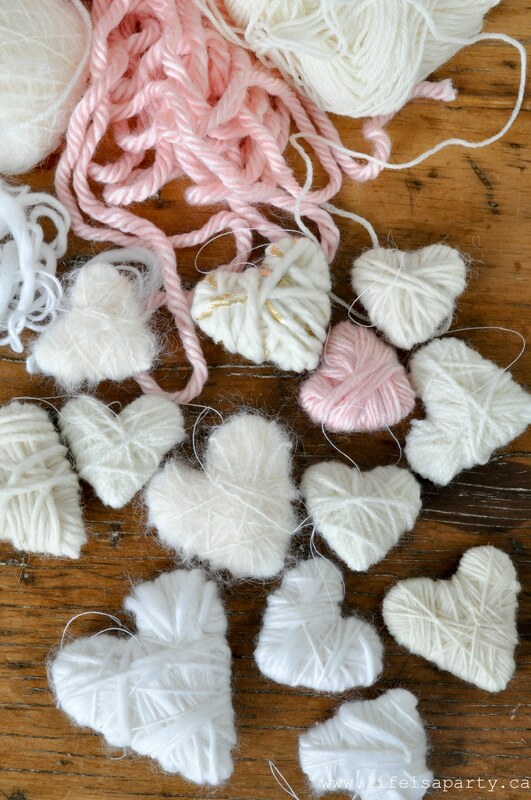 Let me know if you make any of these yarn hearts, and I’d love to see pictures too over on our Facebook page. 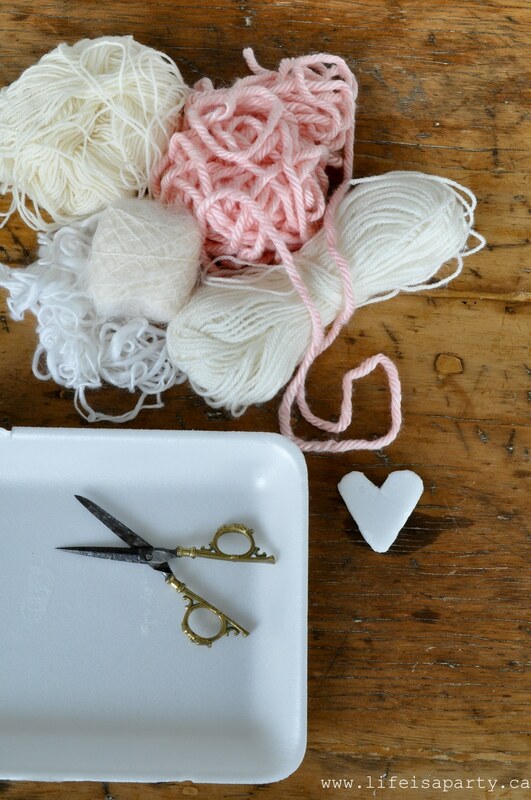 With our Yarn Hearts Valentine’s Day Craft, life really is a party!